Aralam Wildlife Sanctuary lies towards the northernmost part of Kerala. It covers an area of 55 squares Km, and is on the western slope of the Western Ghats. 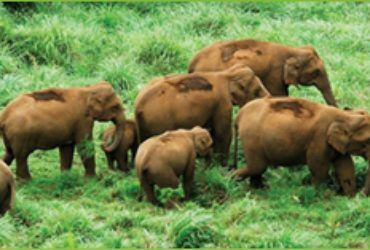 This protected area which comprises of the Aralam range is adjoining the Coorg forests of Karnataka. Odanthode Malavaram of Thalassery was a private forest in the past, and was taken over by the Government of Kerala, and now is a part of this sanctuary. This sanctuary was established in the year of 1984, and the entire area is separated into 2 zones, the core and buffer zone. The rainfall, humidity, frost and the temperature are the climatic factors that affect this region. The highest peak in this sanctuary is the kattiBetta which rises above the sea level to 1145 meters. This is the home to lots of flora and fauna, which are pervasive to the Western Ghats. The place can offer sights of herds of elephants, jungle cats, leopards, boar and bison often to the visitors. Deer too can be commonly found here. The headquarters of the sanctuary is close to Irutty which is a small town, and 55 km far from Kannur. The foothills have the temperature of 21 degree Celsius to 40 degree Celsius. The forest also is the home of 490 ha of plantations which consist of teak and eucalyptus. The evergreen forests of the sanctuary are home to lots of fauna too. Vellapine, Mechilusmacrantha, Calophyllumelatum, MagniferaIndica, ToonaCilata, and Euphorbia Longana are the evergreen trees found here. The popular semi evergreen trees are Cinnamomum Zeylnaicum, Larges tromeialancelota, Mallotus, and Philippinensis. This sanctuary is also the highest producer of hybrid coconuts across the country. The drainage system of the sanctuary is mainly formed by the Cheenkannipuzha on the south of the sanctuary. The rivers Narikadavuthodu, meenmuttithodu, and the kurukkathoda join Cheenkannipuzha after flowing northwards. The forest is a home for 23 species of mammals, 22 species of reptiles, 188 species of birds, 39 species of fishes, and 16 species of amphibians. Gaur, tiger, laughing deer, NilgiriLangur, Sambar, Sloth Bear, bonnet macaque, common langur, wild dog, and Malabar giant squirrel are found here. The average rainfall of this region is 2800 to 4600 mm. The area gets rainfall during both the northwest and the southeast monsoons. April and May are very hot here. December to February is cool and pleasant, and hence can be the best part of the year to visit this sanctuary. If you do not mind the hot climate, September to May can be chosen for the visiting this sanctuary. The sanctuary is open from 8 Am to 5 Pm around the week. 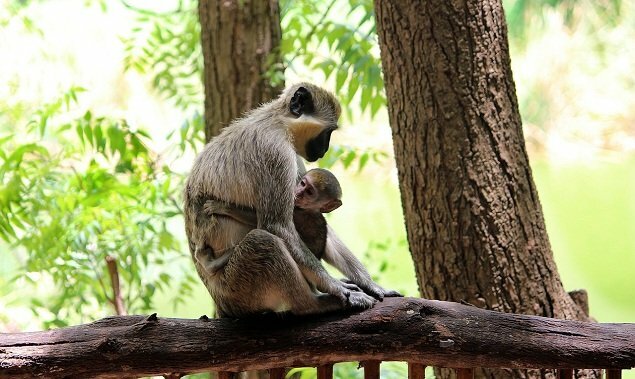 To enter in to the Aralam wild life sanctuary or which is better known as the Aralam wild-life sanctuary you need to pay some charges. To reach this sanctuary, one can opt for different routes. One can reach from Thalasseri or Kannur which are 45 km from this place. Thalasseri has the closest railway station, which is 45 km far. The nearest airport is in Kozhikode. Trekking in the deep forest can be enjoyed here. The meenmutty falls trekking is 2 day and 1 night halt program. Hearing the music of the flowing water, watching the birds and butterflies, taking in pure water and air can be enjoyed here. IB at Valayamchal can be chosen for stay. The cost is Rs. 400 per day for 2 double bedrooms. Food is charged additionally. For 50 INR per head, the dormitories can be got. 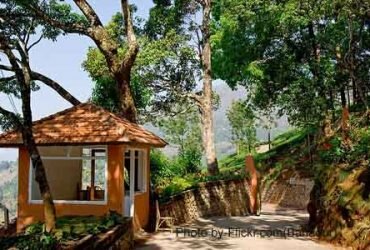 There is PWD rest house in Iritty, and there are lots of options for stay in Iritty and Peravoor. Aralam is a unique sanctuary because it is the only compact patch of vegetation that falls under the protected vegetation lands in Kerala. Compared with the southern regions, the edaphic conditions here are diverse. The Meta population management of this sanctuary is unique. Valapattanam is the major source of drinking water for millions in this region, and the CheenkannipuzhaRiver runs through the luxurious forest of Aralam before it falls into this VallapattanamRiver. This is a perennial river, and lakhs of people depend on it. This sanctuary is also a link between the protected areas that spread from the northern part to the southern parts of the Western Ghats. 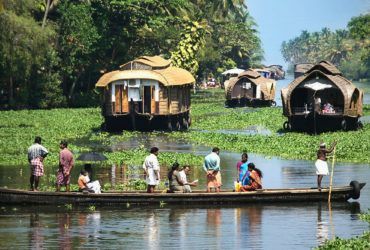 Enjoy this amazing sanctuary of Kerala.